yiannis krikis (thessaloniki, Greece) on 4 October 2009 in Cityscape & Urban and Portfolio. I like the composition of lines here and the people, with the little girl as the main subject. 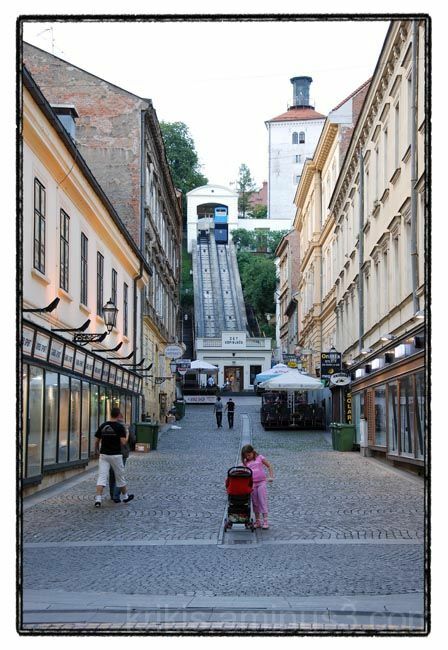 Very nice perspective on that street with the funicular at the end. An excellent street scene including the people. This is really a lovely street. It's a funicular, but where? wonderful streetscene my friend, well done!! love these street scenes !!! Beautiful PoV and cuteness in the the middle... just perfect. Nice viewpoint... a lot to look at... and we attracted to look at the top. What a beautiful area! I like your point of view, and being able to see the tram that takes you to the top. there's so much of interest in this one. Seems strange to see the children there with no adults. Interesting place.